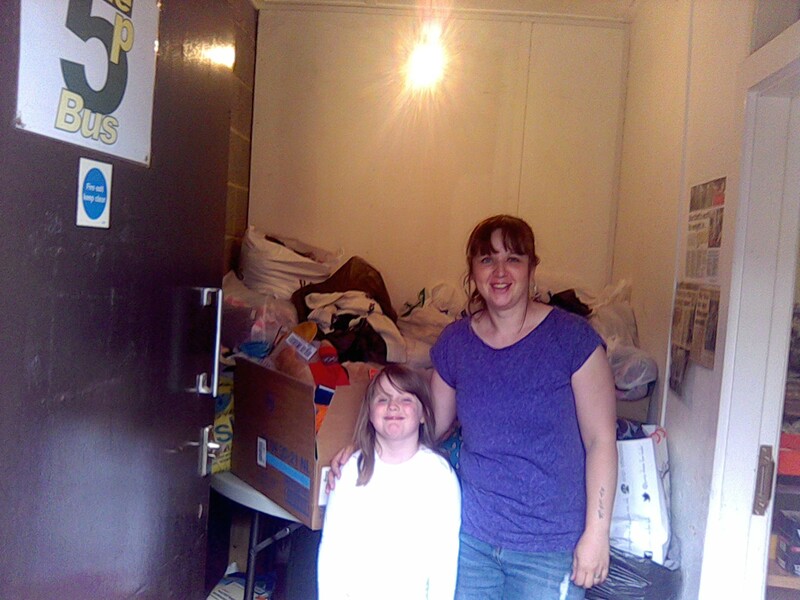 August 2015 – The 5p Bus – Hannah's Helping Hand – a 10 year old's project to make a difference. On 28th August, Hannah visited the depot of The 5p Bus in Sunderland, to deliver her collection of children’s clothes, books and toys. 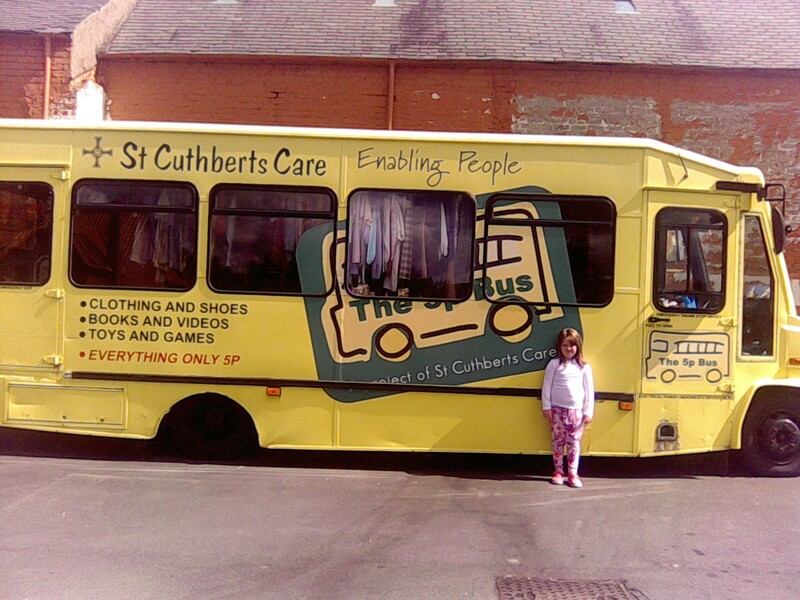 The 5p Bus is a service run by St Cuthberts Care, and distributes good quality, second-hand clothing, toys, books and household essentials to areas of need in the North East of England. Hannah was lucky enough to be invited to see the depot and meet sorting assistant Kelly, who showed her around and explained how it all works. 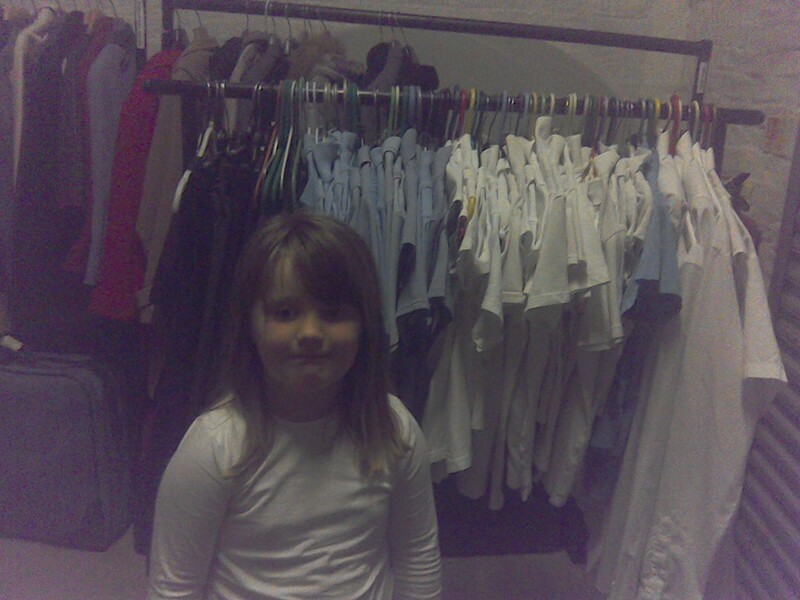 Hannah was surprised by the scale of this service – the depot went on and on, and there was clothes and goods of all types! Hannah also got to get on board a 5p Bus. The service has 2 buses and Hannah got to explore the smaller yellow bus, as the bigger white bus was out and about. 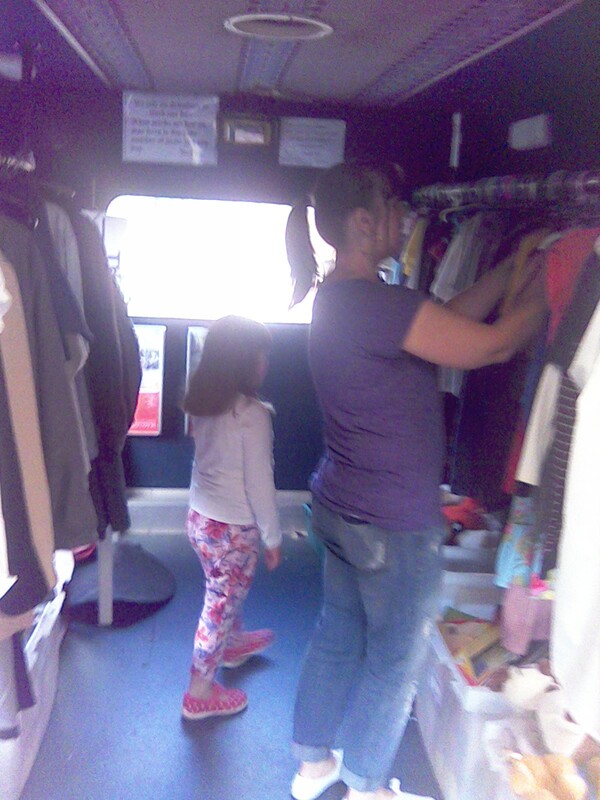 The bus has racks and racks of clothing to choose from, plus boxes of toys, shoes and other items. Everyone pays 5p per item. All in all Hannah was very impressed with the 5p Bus and she will definitely help out again! Our thanks to Iris and Kelly at The 5p Bus for being so kind and welcoming to Hannah. She had a lovely visit. Read about The 5p Bus here.